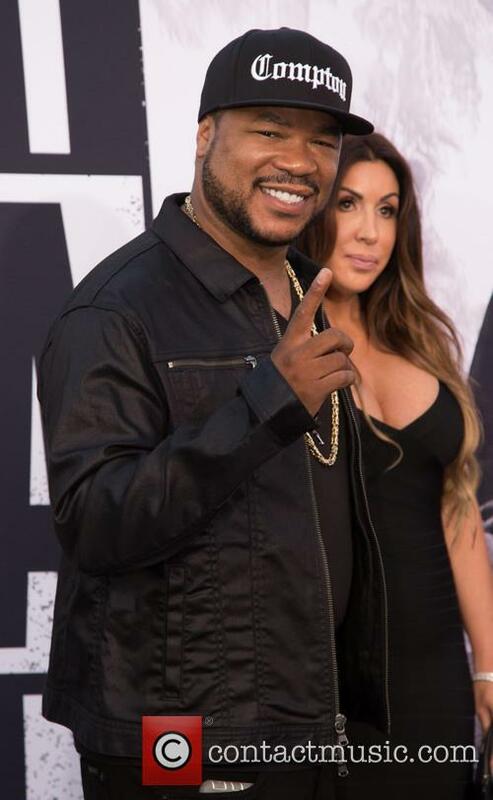 With his imminent return to the music world, Xzibit has talked about the tragic factor that kept him away for so long - the death of his new-born baby son, back in 2008. 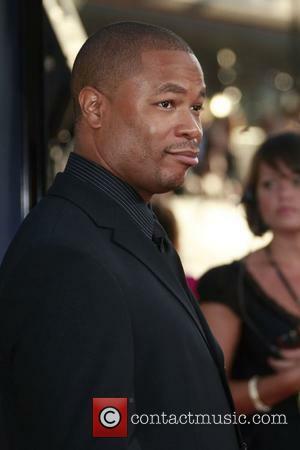 'Pimp My Ride' host, Xzibit, has emotionally revealed that the tragic loss of his new-born son in 2008 led to an unfortunate break down in his career as a rapper and actor. 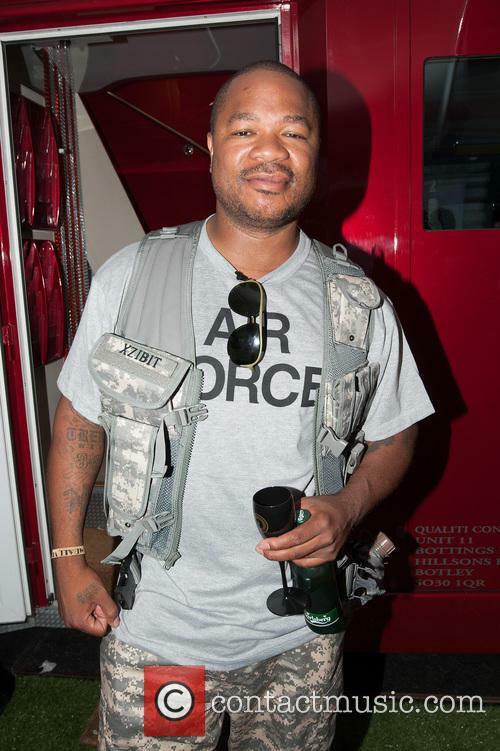 Alvin Joiner, better known as Xzibit, was understandably devastated when his son, Xavier Kingston Joiner, was born premature and died in May, 2008. 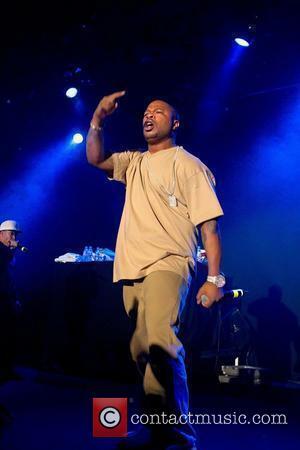 The rapper has taken years to return to the recording booth since the death, yet his return is to be signified by the upcoming release of his very personal album, 'Napalm'. 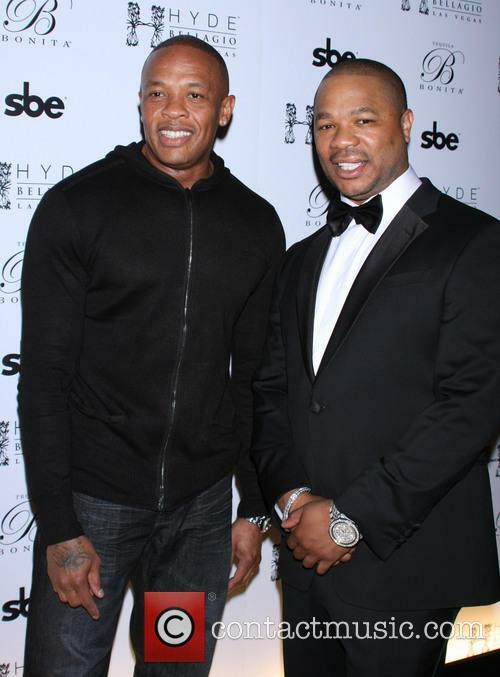 Xzibit, who has two other sons - Tremayne and Gatlyn - spoke to Billboard's 'Close Up' series, to explain: "I haven't put out a record for six years. I had a real personal tragedy. 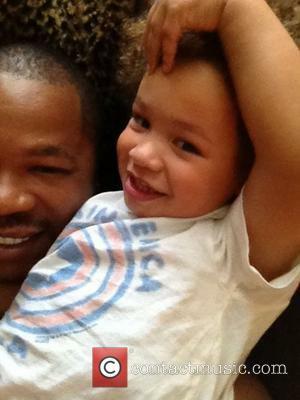 Xavier Kingston was my second born son and he passed away prematurely. He lived for 13 days then he passed. Not only was it devastating to me but to my girl. It [is] something that you just can't just up and (say), 'Oh well, guess I better go tour.' It ain't like that. You know? So sometimes you have to disconnect yourself from that." 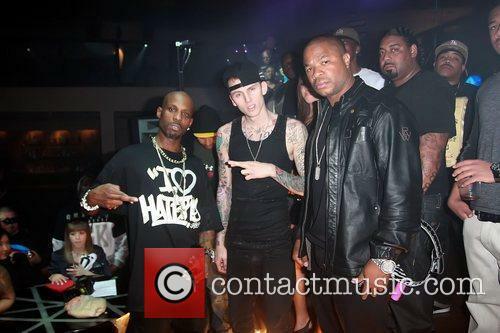 DMX and Xzibit - DMX, Machine Gun Kelly and Xzibit Thursday 1st March 2012 who makes a cameo appearance in Kelly and DMX's new music video I Don't Dance. Terrence McDonagh is a cop who's not really known for his courageous acts but when he sees a man drowning in a cell, he jumps to save him. His act of bravery might have won him a promotion to lieutenant but it's also left him with a bad back injury. As his back becomes more of a problem McDonagh develops a serious drug problem, turning to any dark alley to find relief. Bribery and stealing drugs put into evidence become part of the norm for him, the most stability in his life comes from a relationship he has with a prostitute called Frankie but when he finds her beaten by a client, he takes matters into his own hands. Working in a drug induced state becomes more of an issue for McDonagh. Whilst trying to solve the murders of six Senegal immigrants it appears his personal life and current case will cross paths. Wanna know why sports movies are criticized for being too cliché? Because sports, as a whole, are too cliché. We've been trained to root for the underdog, though it's conventional when that come-from-behind victory is shown on screen. Teams are expected to win games on last-play drives. How is a filmmaker supposed to wring suspense from such a scenario when it happens every night on SportsCenter? For a sports film to succeed on its own terms, audiences must be able to look beyond the requisite storytelling crutches that bolster this limited genre and find something else worth discussing. 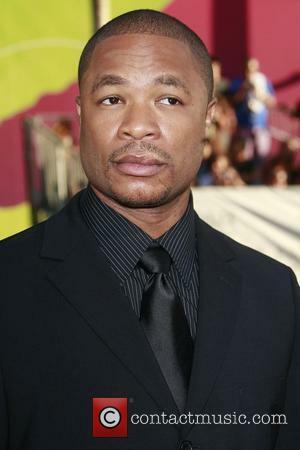 In Gridiron Gang, that extra something else is heart, which this flick has in spades. Gang follows the biographical story of Sean Porter to the letter - footage of the real coach played alongside the end credits shows him barking actual lines we heard minutes before in the film. 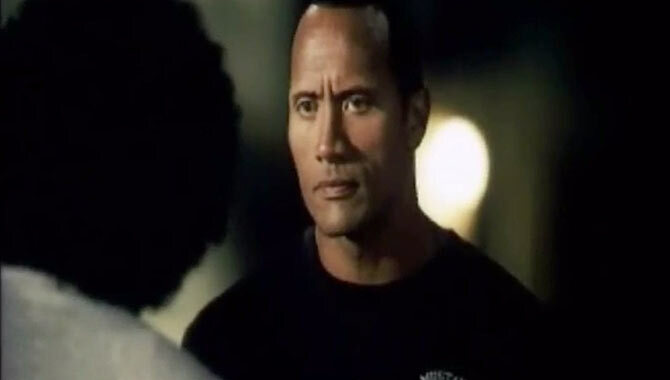 Charismatically intimidating Dwayne "The Rock" Johnson personifies Porter, a juvenile correctional facilities counselor who uses football as a means to unite his divided charges. Gang plays as a junior varsity Longest Yard, with hardened teenage criminals learning to shelve their street-bred differences and play together as a team. It shows these kids at rock bottom so we can best appreciate how Porter and his program brings them back up. Instead of one game against the guards, these kids shoulder a full season against polished private squads. Rock wears many hats both on the field and off - counselor, coach, bouncer, mentor, friend - and each one fits him like a glove. 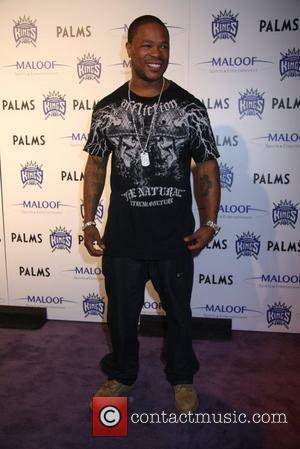 The wrestler continues to find projects that utilize his physical assets, as well as his rugged charm. The underdog formula gets the better of director Phil Joanou (State of Grace), who pushes our buttons hard but manages to motivate without fully manipulating. He could stand to trust his audience more than he does. Most can figure when to stand and cheer without obvious cues from Trevor Rabin's desperate score. Also, Joanou adores slow-motion photography for his in-game shots. Not one or two shots, but every single frame of football action. If these sequences were played at full speed, Gang would be 30 minutes shorter, and the reduction in running time would help. As it stands, the gritty Gang delivers last-second heroics, surprising amounts of humor, and the beating heart of an unexpected champion. Let's put it into football terms. This motivational cheerer isn't a flashy wide receiver or a star quarterback. It's the stocky, reliable running back who drops his shoulder, breaks a few tackles, and picks up tough yards on the way to a moral victory. The DVD includes deleted scenes, commentary track, making-of featurettes, and a multi-angle feature. During a recent interview, Derailed star Jennifer Aniston admitted that a close friend figured out the movie's driving twist after watching the trailer. Was the comment high praise for her pal's psychic abilities or a none-too-subtle dig at the obviousness of the linear plot? Sadly, it's the latter. Derailed opens with a tantalizing scenario that threatens to go down a host of intriguing avenues until novelist James Siegel and screenwriter Stuart Beattie opt for the obvious paths. 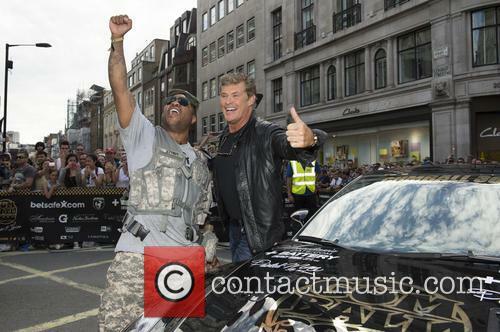 Note to savvy readers: If you suspect someone is in cahoots with the movie's main killer, you're right. They are. Except for that one guy, who actually does die, though you'd be willing to wager $100 he'll turn up again in the end. He doesn't.